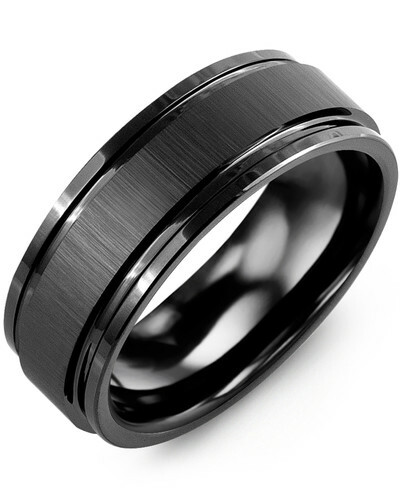 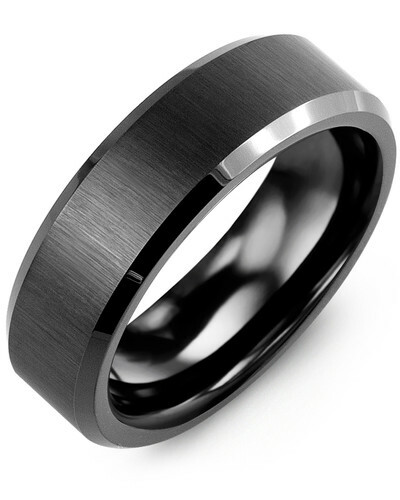 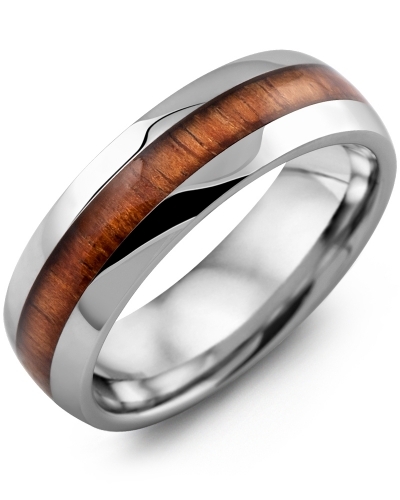 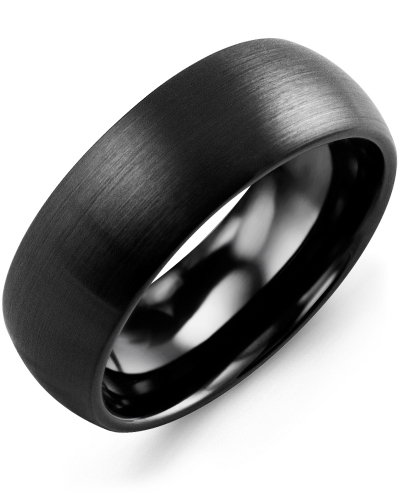 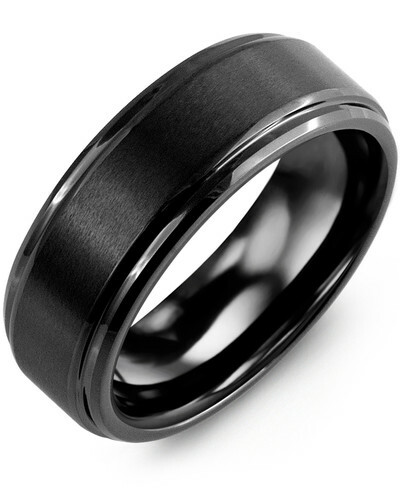 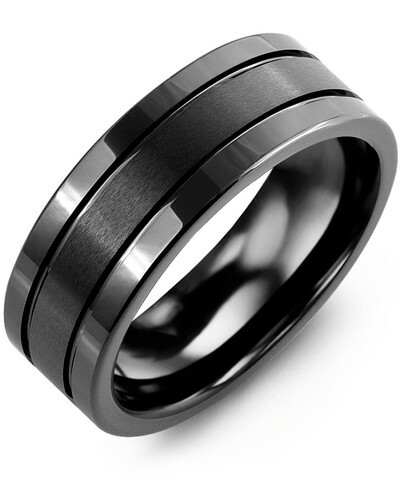 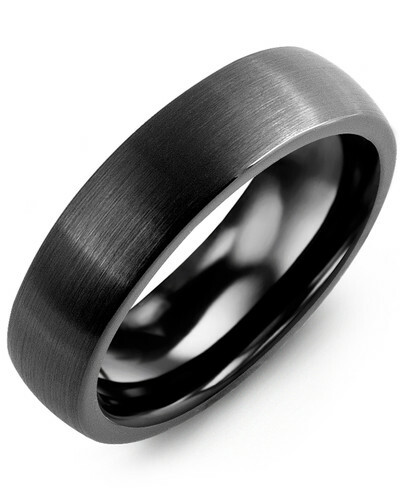 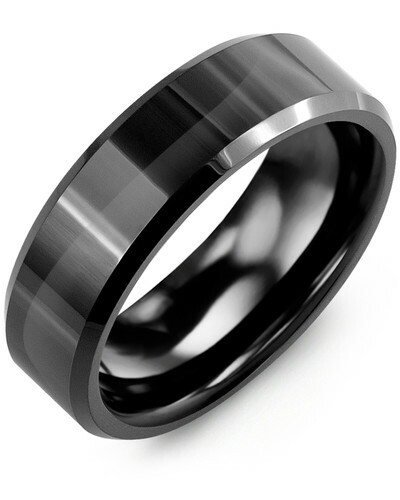 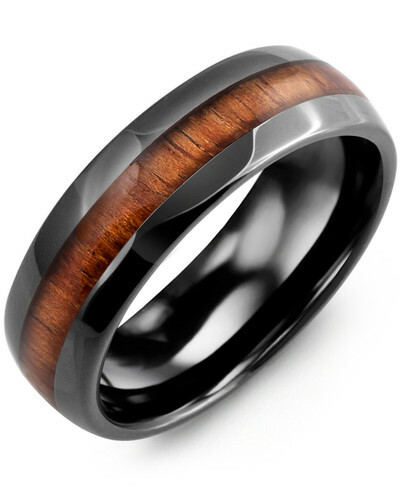 MGY - Satin Finish Center Grooved Wedding Band A sleek alternative to the traditional wedding ring, this beautifully detailed 8mm Two-Tone Tungsten Ring for Men with Grooved Link Design is the perfect choice for those with larger hands. 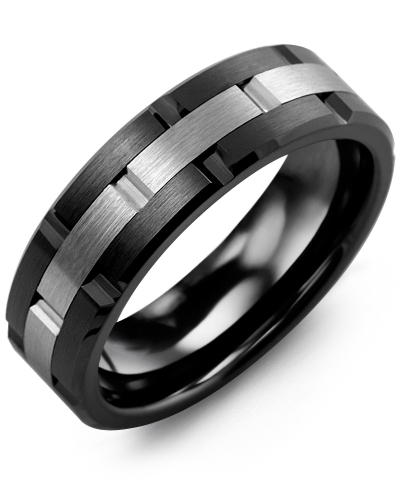 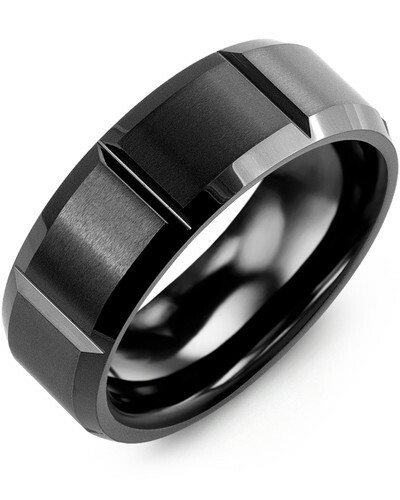 It features a brushed tungsten centerpiece set between two polished tungsten bands, each with vertical groove detailing to create a modern link design. 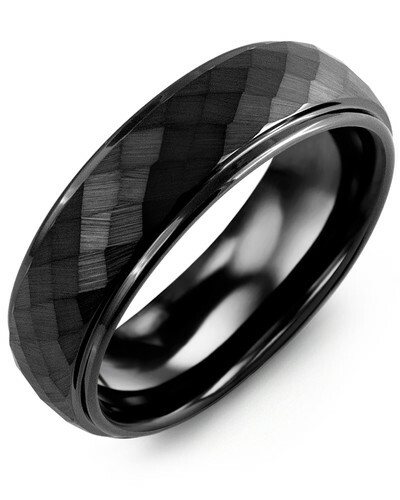 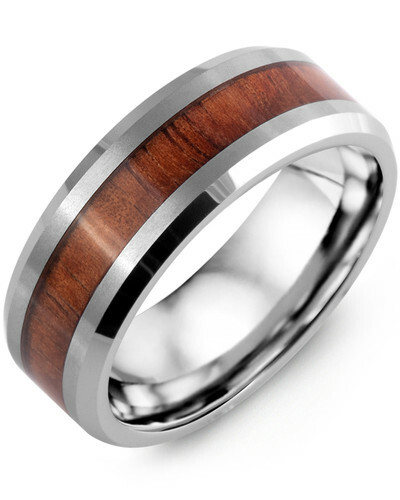 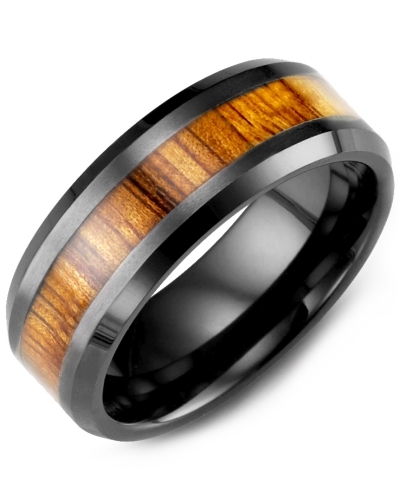 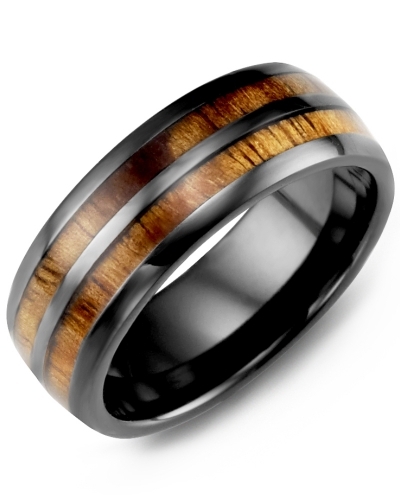 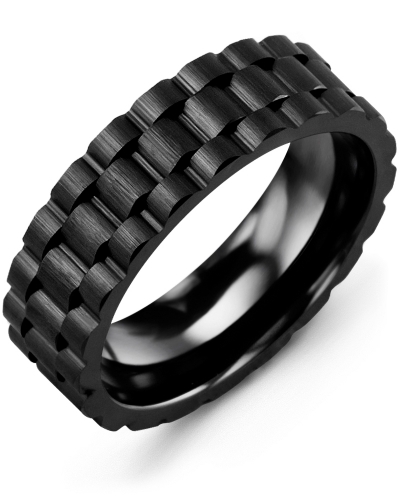 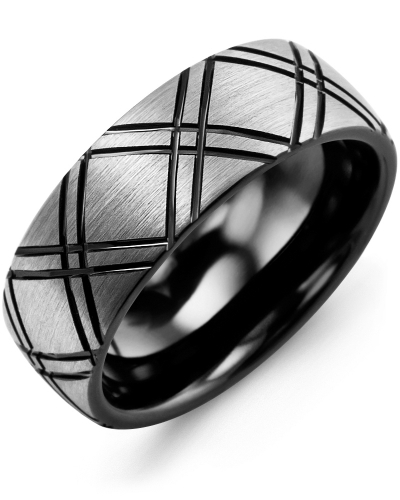 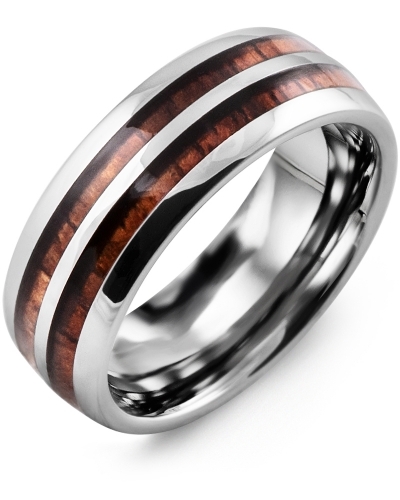 Customize the inside of this ring for men with our engraving service. 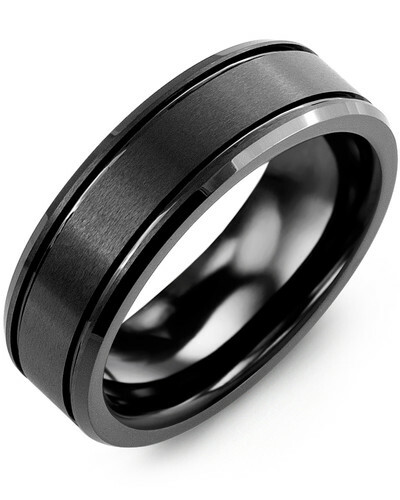 A sleek alternative to the traditional wedding ring, this beautifully detailed 8mm Two-Tone Tungsten Ring for Men with Grooved Link Design is the perfect choice for those with larger hands. 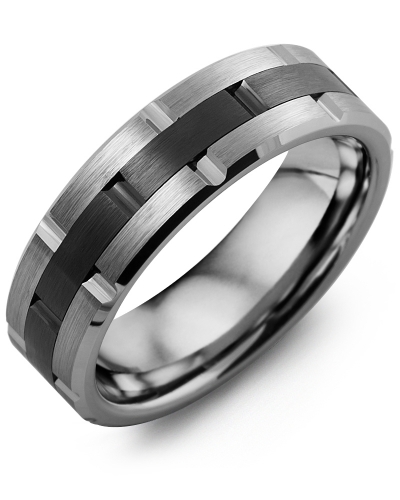 It features a brushed tungsten centerpiece set between two polished tungsten bands, each with vertical groove detailing to create a modern link design. Customize the inside of this ring for men with our engraving service.